Shamrock Tattoo has earned a solid reputation as the leading tattoo parlor the West Hartford/Newington CT area. Whether you are coming in for your first tattoo or you’re a veteran of the process, you want to go a clean reputable tattoo shop. Shamrock Tattoo is your best resource for body art serving greater Hartford. We have earned a reputation for excellence and run a safe professional establishment. We provide a complete library of designs and tattoo flash from which to select your piece. Our talented tattoo artists can design custom art for you. As they are masters of their art, the workmanship is impeccable. The artists at Shamrock Tattoo Company can make the tattoo you imagine come to life. Feel free to look through our artists’ galleries. When it comes to tattoos in the Hartford area, you cannot go wrong when you visit Shamrock Tattoo Company. Shamrock Tattoo in West Hartford CT is a clean, professional tattoo parlor located in central Connecticut. We believe we are your best resource for amazing body art. The artists at Shamrock Tattoo are respected for professional excellence and run a clean, sanitary establishment. Whether you want a small piece on your wrist or a full sleeve, we make certain you will be happy with the design. With intricate line work, vibrant ink color, original art or vintage design, the artists at Shamrock Tattoo Company deliver. Feel free to look through our artists’ galleries. When you want to get your first tattoo in greater West Hartford CT, visit the best tattoo shop around. Shamrock Tattoo Company is clean tattoo shop with some of the best tattoo artists serving greater Hartford. Our highly rated Yelp Customer Reviews and A+ Better Business Bureau rating are worth looking into. Whether you are thinking about getting your first tattoo or your tenth, you want to go to a reputable and clean shop. 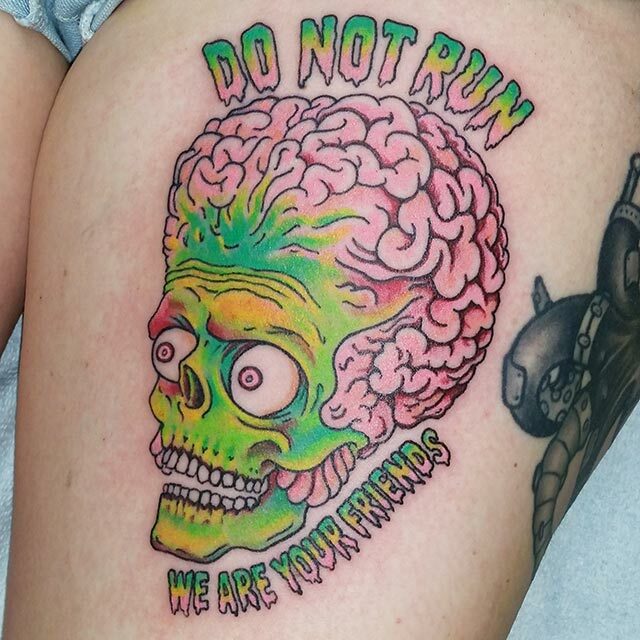 The artists at Shamrock Tattoo Company have earned a reputation for excellence. Whether you want a small piece on your wrist or a full sleeve, intricate line work and vibrant color or vintage design, the artists at Shamrock Tattoo Company can make it happen. Feel free to look through our artists’ galleries. 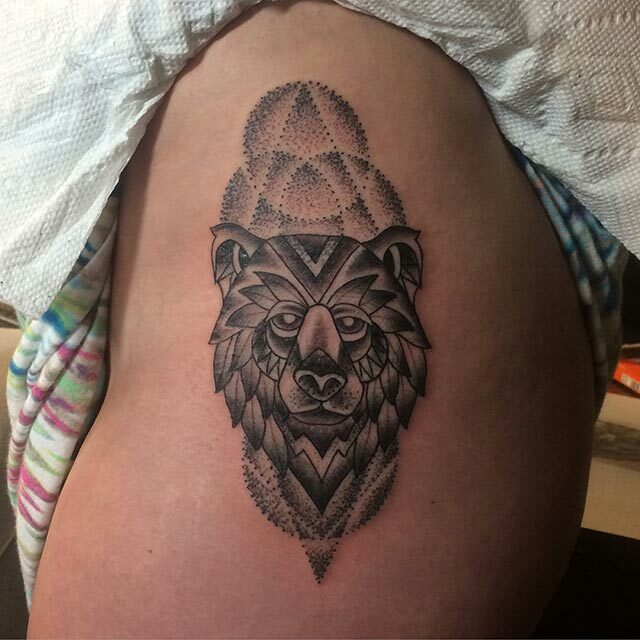 Best Tattoo Shop | West Hartford CT | Shamrock Tattoo Co. 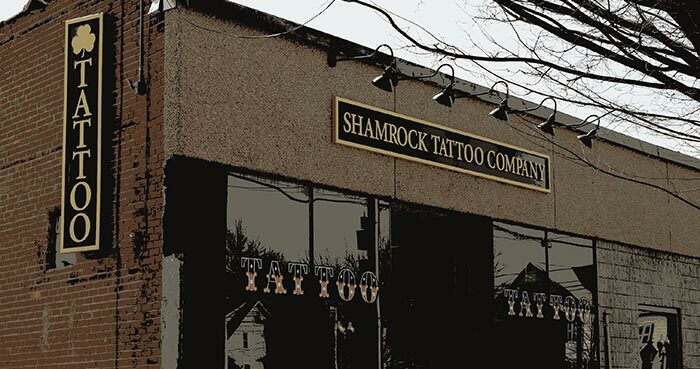 Discover Shamrock Tattoo Company, the Hartford area’s leading tattoo studio. 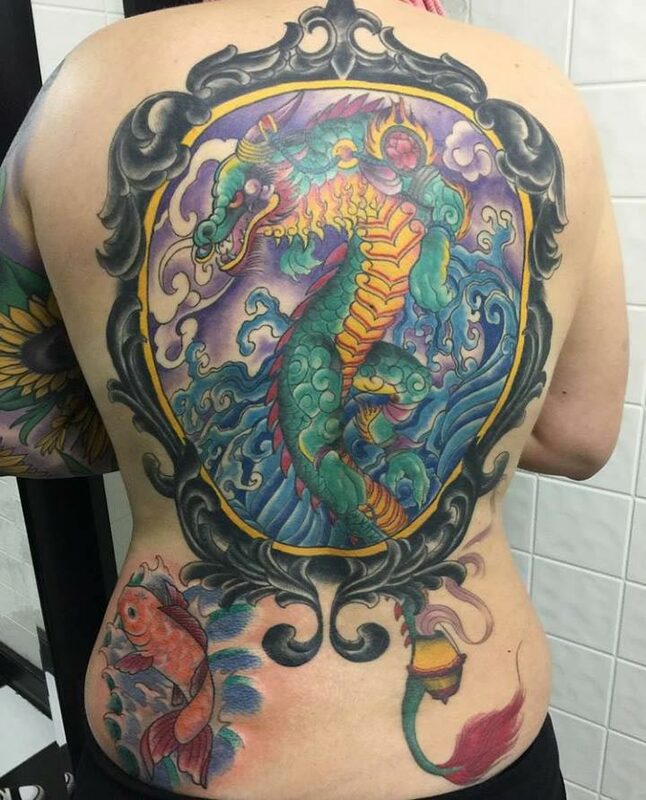 We are a clean, safe source for professional tattoos and body art in the central Connecticut area. Located in nearby West Hartford CT, we are committed to creating high quality tattoos with a focus on service excellence. 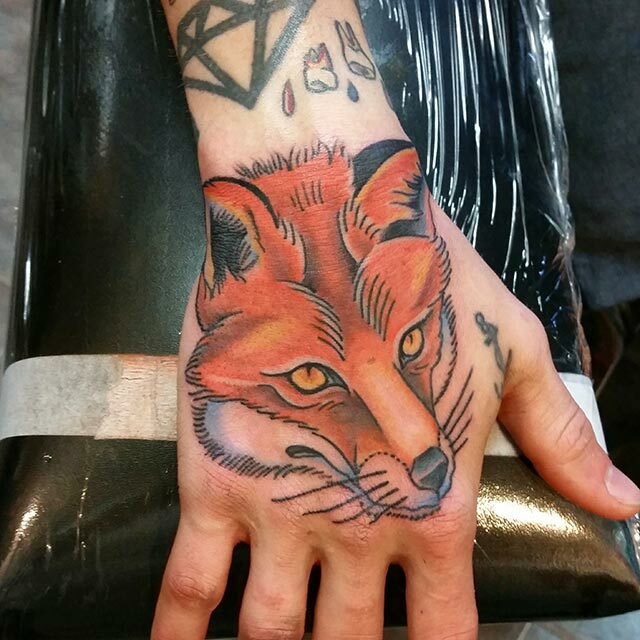 At Shamrock Tattoo Co. you can get just about anything you desire in tattoo art design. Our flash selection ranges from vintage to commemorative. Our artists do custom work, and will render a lifelike portrait of a loved one or an original design. Each client that walks though our doors has a very personal reason for commissioning body art. Our artists counsel each client to put them at ease and to make certain we meet or exceed his or her expectations. Feel free to look through our artists’ galleries. Shamrock Tattoo Co. has earned an A+ rating from the Connecticut Better Business Bureau. When it comes to something as personal as a tattoo, come to the best studio in town. Shamrock Tattoo Co. is closed Sunday and Monday. 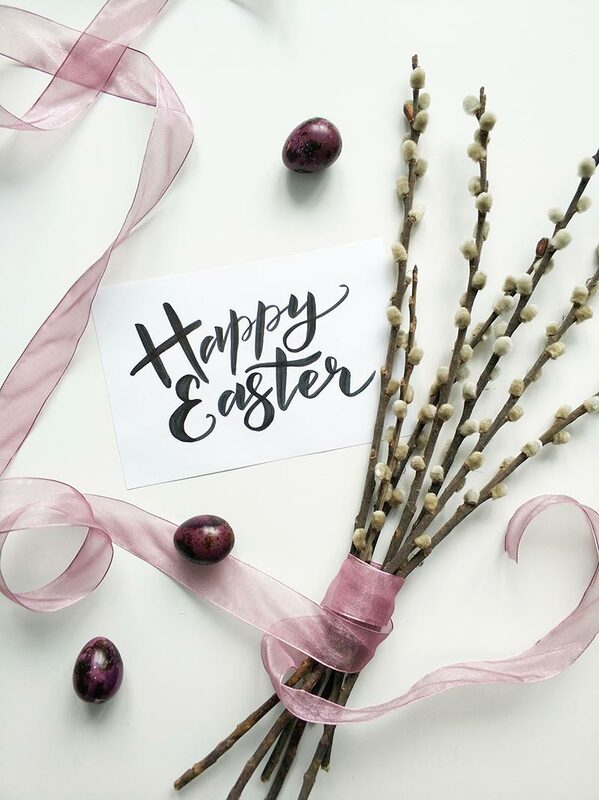 Our business hours are Tuesday through Saturday 12 noon through 8:00 pm. 860-216-2633. Since opening our doors in 2012, we have become the professional tattoo parlor of note in greater Hartford CT. Shamrock Tattoo Company has a reputation for excellence in tattoo art, with a personal touch. Located in West Hartford, our artists provide high quality services in a clean and safe environment. People from all walks of life come through our doors. Each individual has a very powerful reason for expressing their deepest emotions with body art. 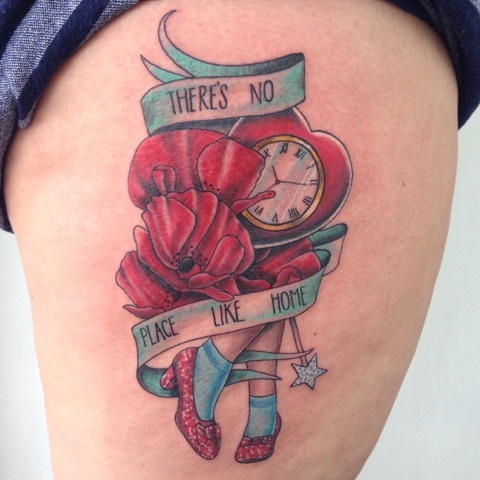 Rest assured that our artists are committed to creating timeless tattoos that you will enjoy for years to come. Whether you want a small piece on your wrist or a full sleeve, intricate line work and vibrant color or vintage design, the artists at Shamrock Tattoo Company can make it happen. Although our service area includes the greater Hartford area, we have clients from all over Connecticut. Whether you know exactly what design you want, or need a professional opinion, you can be certain you will end up with the results you desire. We’re confident that you will get the outcome you expect. At Shamrock Tattoo Co. you get quality and so much more. Discover Shamrock Tattoo Company. Call for a consultation: (860) 216-2633. 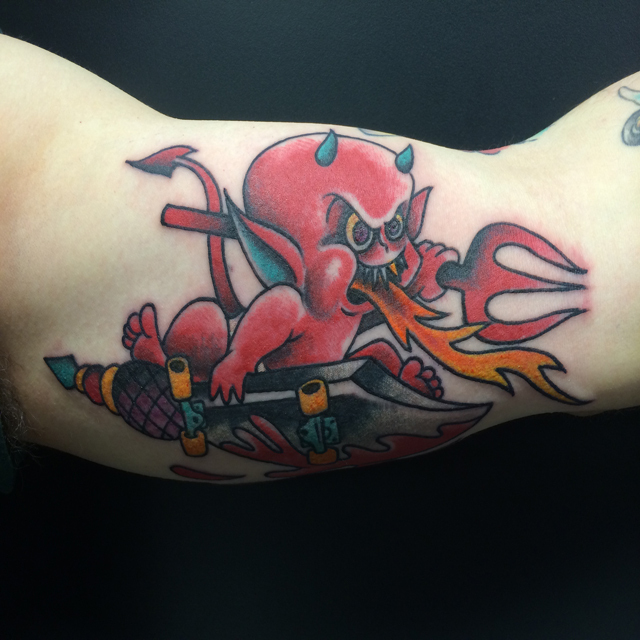 Professional Tattoo Parlor | Greater Hartford CT | Shamrock Tattoo Co. The best tattoo shop in greater Hartford CT is the one and only Shamrock Tattoo Company. Minutes from anywhere in Hartford County, we provide the clean, high quality tattoo services you seek. Our artists are true craftsmen, among the best in the business. When you step through the doors of our shop, you will find a clean, professional environment. We understand that a tattoo is a very personal expression. Our artists will guide you through the design selection. Whether you find a design in our extensive flash catalog or you want a custom design, Shamrock Tattoo is your best resource. But why take our word for it? We have many happy clients that have left reviews and ratings on our Facebook and Yelp pages. Call for information at 860-216-2633. This is a very nice clean tattoo shop. I came in a few weeks and I was greeted with smiles and it was very clean and professional. I went on a Saturday and just did a walk in and ended up getting tattooed by Jay. He is very nice and friendly and takes tattoos and designs them so they have a personal touch. I just had another appointment with him and he did four tattoos on me and they came out amazing. I walked out of the shop with another appointment booked with him. All the staff is friendly and takes time to draw tattoos up and makes sure it’s the right placing and size and exactly what you want before they start tattooing. Now that I found them I will never go any place else. Thank you so much! Thank you Joe! From the moment I walked in Joe helped review a few design ideas of mine and really listened to me. He helped me make my decision and was patient with me as I asked to see multiple iterations/sizes. He walked me through the process and kept me as ease through the process. I would highly recommend Joe! Overall the place was clean, organized, with a calm vibe. I’ve come here for all of the tattoos that I have (5). You always know that you’ll get the attention you need to get your tattoo done exactly the way you want it. It’s clean and the guys are real professionals. Jay Kelly is the artist I go to here, and I honestly don’t want to have any other artist work on my tattoos. Though I haven’t gotten anything done by the other artists, I can say that what I’ve observed of them is impressive too. So, I’d recommend Shamrock to anyone whether it’s your first tattoo or your 10th. High quality work and reasonable prices. Definitely check them out.